This book is about the way ‘governance’ has become the new orthodoxy of development, following earlier failed attempts at building working market economies through policy reform in developing countries. 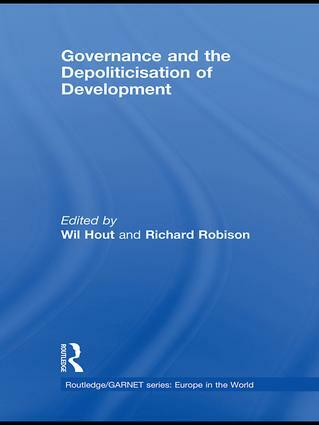 Considering how its proponents define ‘good governance’, the contributors to this volume assess why programmes of governance building in developing countries have proven to be no less problematic than the previous agendas of market reform. Governance and the Depoliticisation of Development challenges ideas that deeper political and social problems of development may be addressed by institutional or governance fixes. It examines the principles and prescriptions of ‘good’ governance as part of larger conflicts over power and its distribution. The collection will be essential reading for researchers and scholars of international political economy, governance studies and political science. Part 2 Behind the scenes at the global level: Global public goods or the globalisation of interests? Governance, politics and the European Mediterranean Partnership: Problems of implementation or policy design?